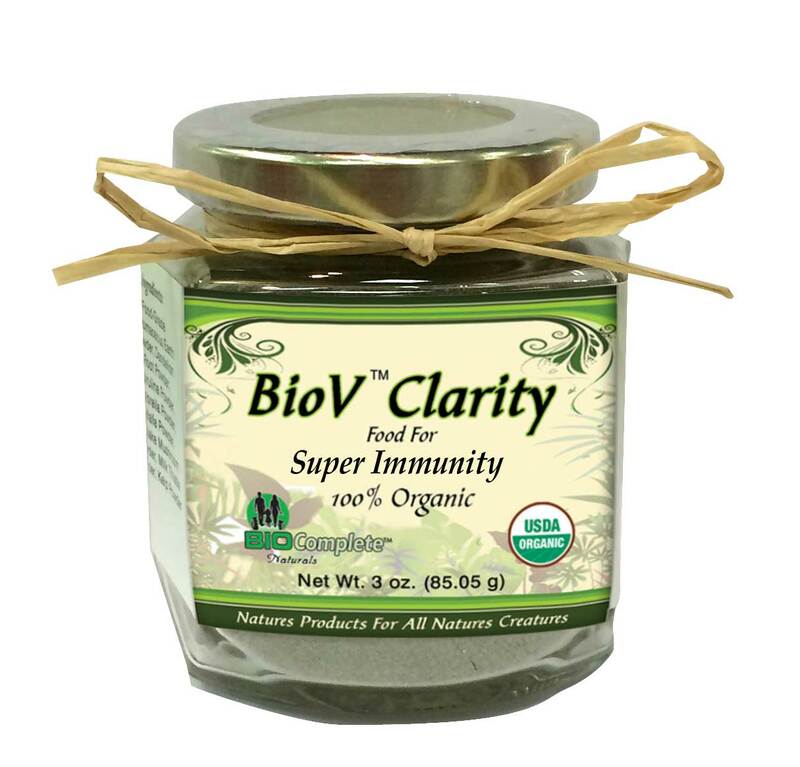 BioV Clarity Super Immunity - This blend was formulated to aid in overall health and well-being and aiding in the prevention of cancer, arthritis, liver and kidney issues, allergies and parasite infestation.It provides immune support and building, detoxification, better eye health along with other enhanced nutritional benefits. BioV™ Clarity Super Immune -This blend was formulated to aid in overall health and well-being and aiding in the prevention of cancer, arthritis, liver and kidney issues, allergies and parasite infestation.It provides immune support and building, detoxification, better eye health along with other enhanced nutritional benefits. Ingredients - A proprietary blend of: Astragalus, Kelp, Spirulina, Chlorella, Bee Pollen, Dandelion and Diatomaceous Earth Powder (food grade).